I went to Kamakura Festival in Takayama city with my sister, where we spent a cold winter’s night in and out of a Kamakura. 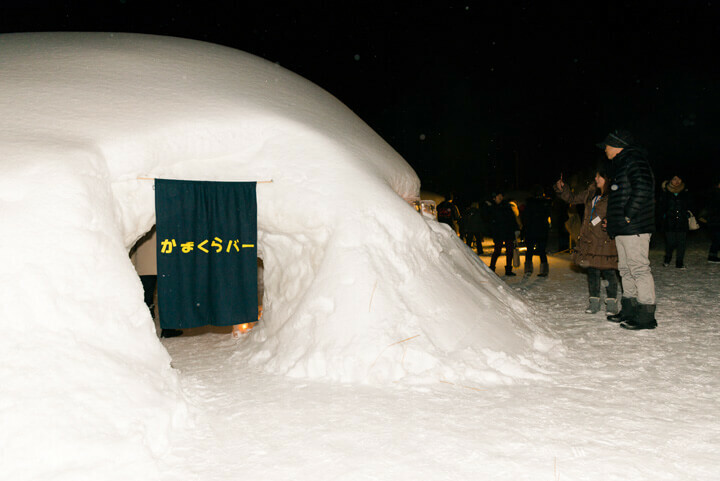 A “Kamakura” is made by piling snow into a dome-shape and hollowing it out, and definitely something you’ll want to cross off your bucket list. On the night we arrived at Hida Takayama, my sister and I visited Shinhotaka Onsen in the ‘Okuhida Onsenkyo area’ of Takayama city. There we were able to visit the ‘Nakao Kamakura Festival‘, and we were really excited to see it. We were in for a winter wonderland experience! The festival was located further into the snow covered mountains, somewhat near where we stayed at ‘Itakura no Yado’, though it took us about an hour and a half by taxi. The ‘Nakao Kamakura Festival’ is held every year in February and this year it’s schedule ran from February 1st to 14th. 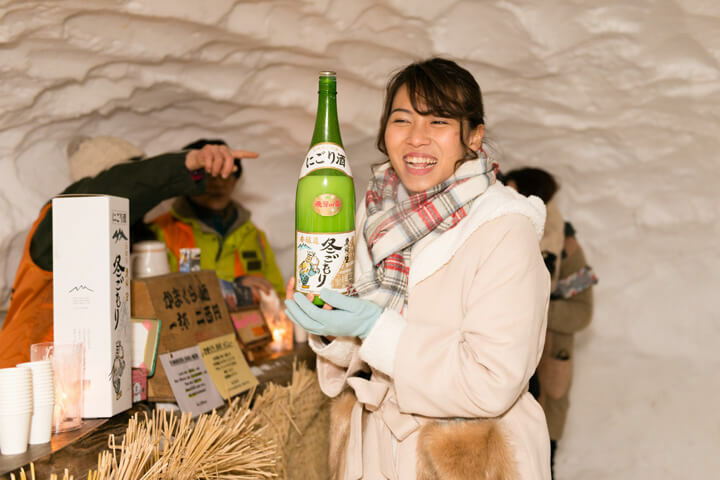 The festival itself was held out in the open, in a beautiful snow filled landscape with little snow huts, called “Kamakura” sticking out of the white backdrop. 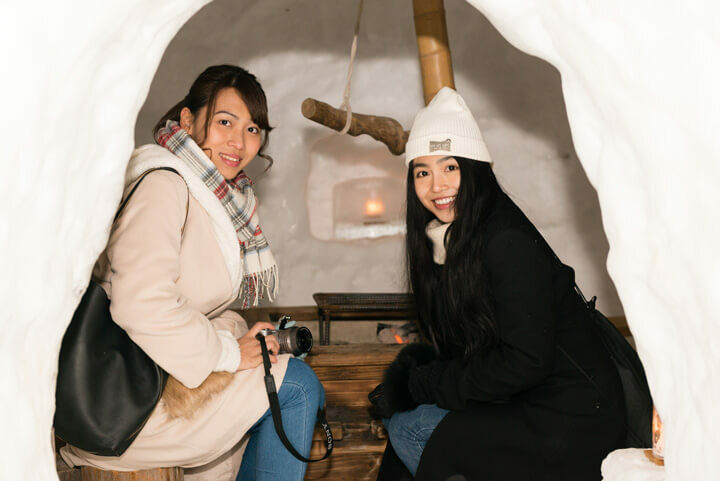 It was the first time my sister and I had heard of “Kamakura” snow houses, not to be confused with the beachside town of Kamakura! Our guide told us that an original Kamakura is a sturdy cave carved out of mountain snow. 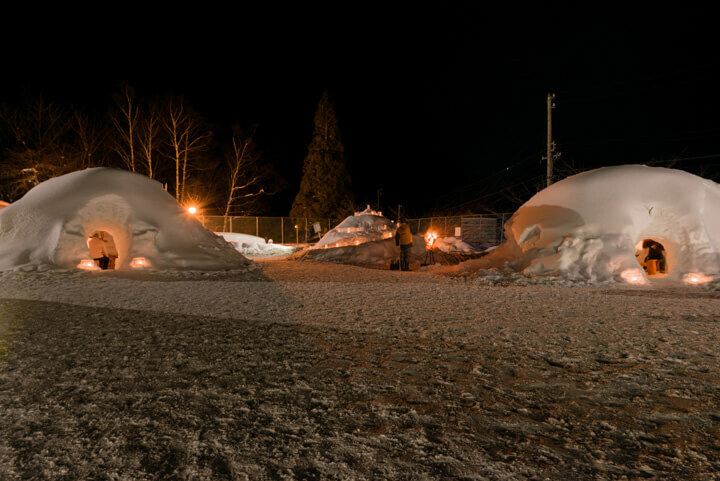 To make a Kamakura, you must first pack snow very tightly into a dome-like shape; then it’s carved out. It looks like an igloo, but its construction is totally different! Inside the Kamakura, a little altar is kept, where people worship and pray to their Gods. 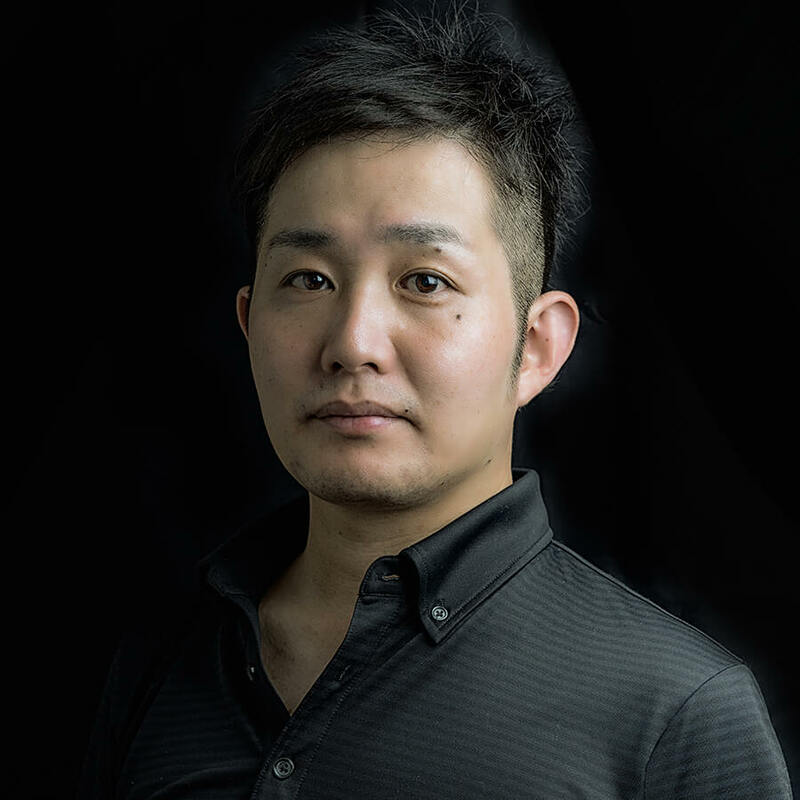 During the Kamakura period, which took place around 700 to 800 years ago, this traditional event was best known for being held in the Tohoku region. 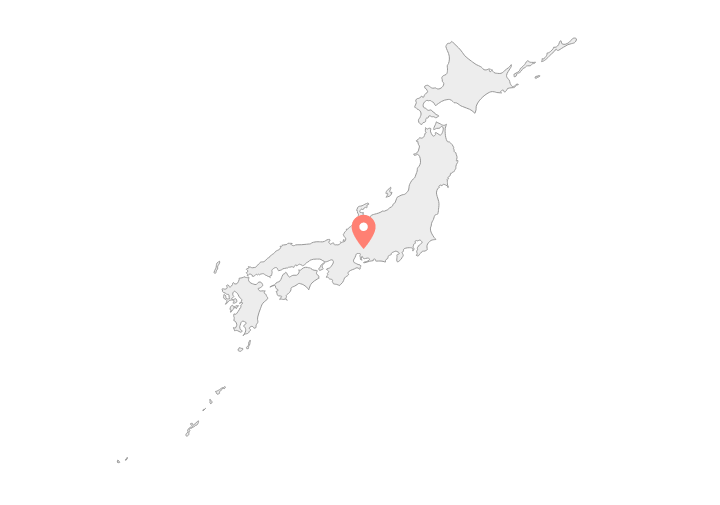 There’s a lot of history in Tohoku around the Kamakura, which is a much more Northern area. 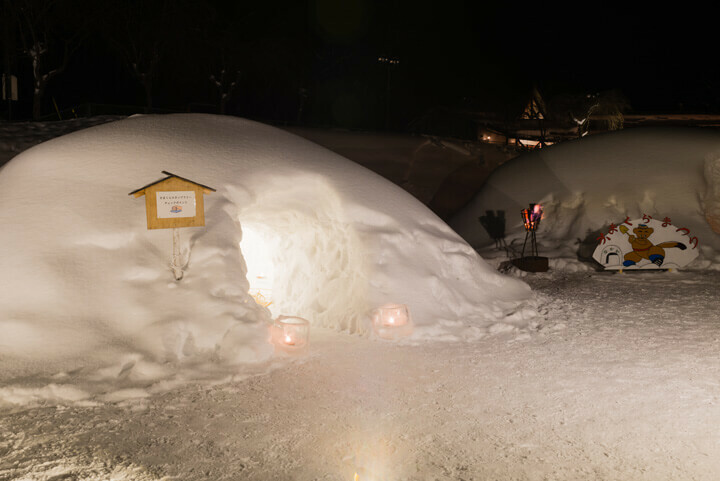 At the Nakao Kamakura Festival, you will see seven Kamakura snow domes in various sizes. They’re lined up and include quite a sizable one that can accommodate a few full grown adults standing at one time, to some smaller ones where you must sit to partake in the fun. The Kamakura is illuminated with the light of a candle, or by a small bonfire which is contained in an iron basket and fueled with pine tree wood. The flickering firelight on the snow set a magical mood for us to enjoy; and the sky was dark and clear, with stars twinkling down upon us. The air felt chilly and fresh in our lungs; it was quite an invigorating experience. 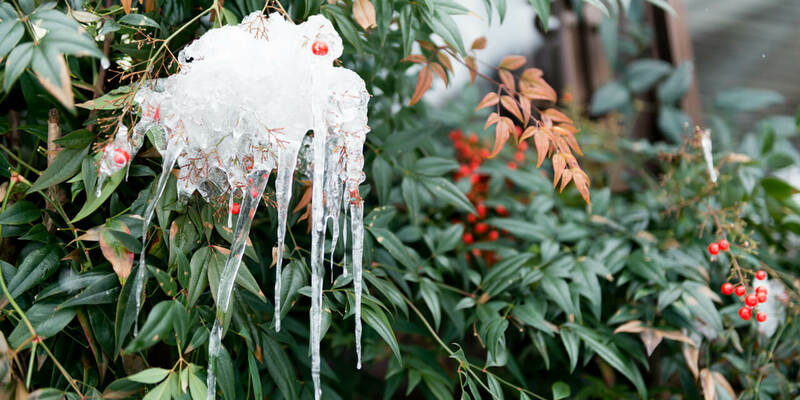 I saw icicles as tall as me, you don’t see that every day! 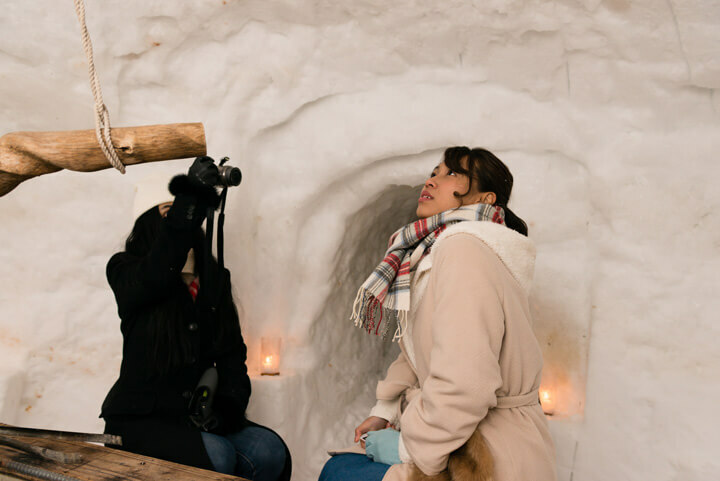 After we had finished admiring the setting, we were welcomed inside the snow hut to take a peek for ourselves. All of the Kamakura at the Nakao festival are uniquely decorated inside, so we decided to enter the snowcapped bar first—to warm up with some alcohol! 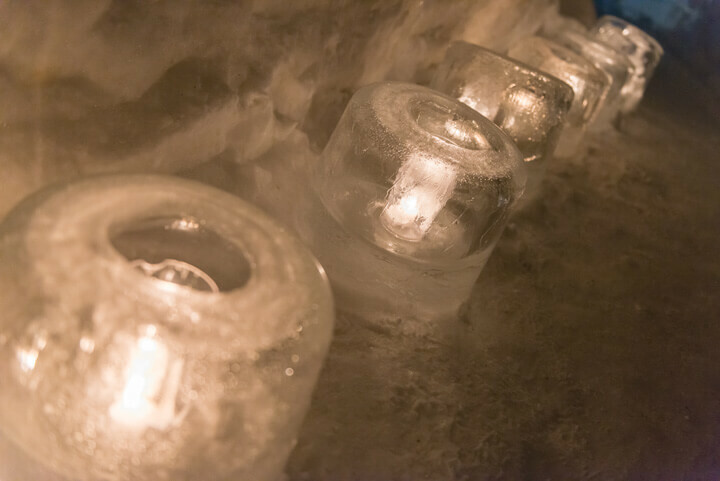 Inside there were beautiful lanterns carved out of clear ice with candles inside them. 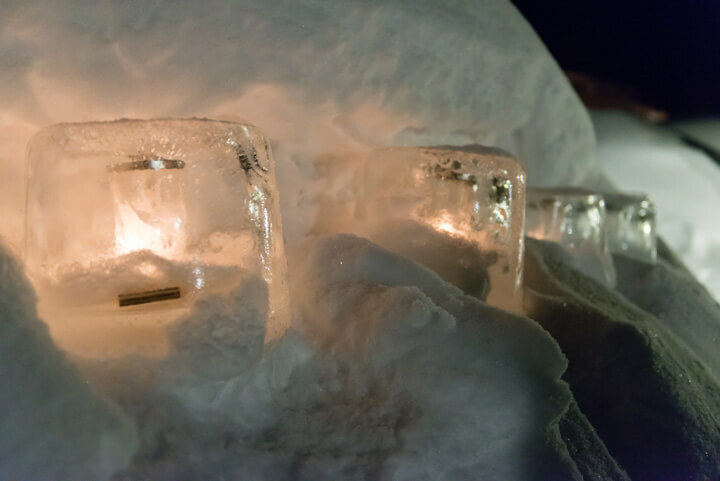 It was hard to believe fire and ice could co-exist in such a way, but the makeshift lanterns lasted throughout the night. 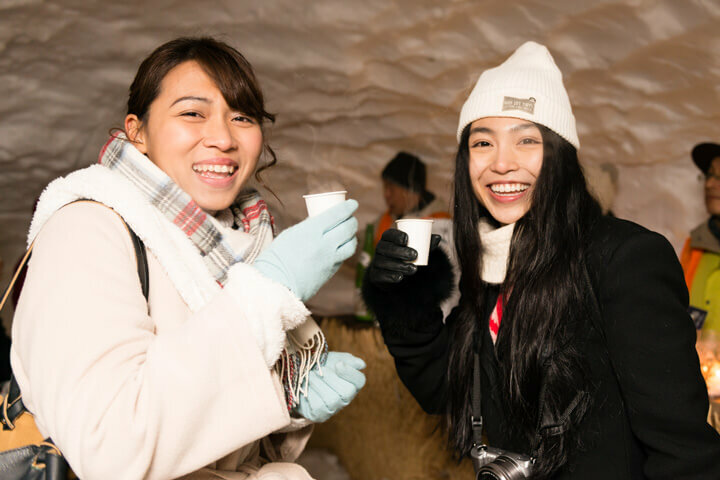 There was a plentiful selection of different alcohols to be had, but on a cold day like this one, our guide recommended a blend of hot wine to warm us up! This hot wine contains cinnamon and spices to keep your blood pumping and warm your body to the core. It was very popular amongst the tourists. “The snow festival Part 2” is here.